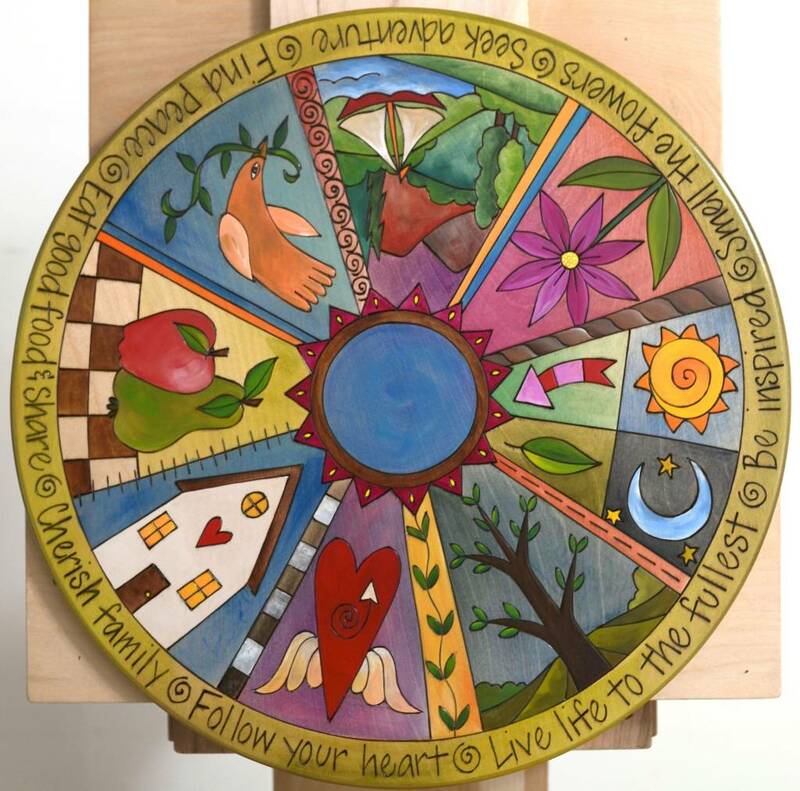 A gorgeous & colorful 20" Lazy Susan with the words Live Life to the Fullest, hand etched with destinctive designs; this piece will enhance any dining table. 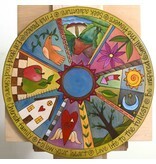 Fully functionally yet when not in use it's a beautiful centerpiece or may be hung on the wall. Each piece varies slightly as they are hand crafted by Sticks Artisans from start to finish. Wash with soap & water. Made in the USA. Each piece is made to order & ships directly to your door from Iowa. Expect 3-4 weeks. Free shipping on all Sticks.